New Jersey Public Adjuster Requirements | The Voss Law Firm, P.C. 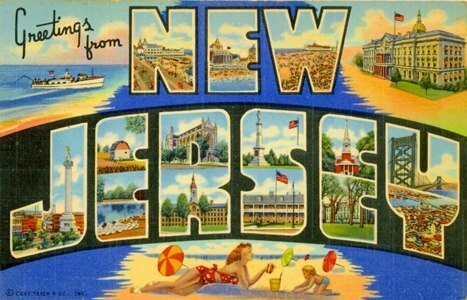 New Jersey has strict regulations on Public Adjusters and Licensing Requirements related thereto. Be sure to read this before heading to NJ to work on Sandy. For applications made during the first year of operation of this act, there shall be paid to the commissioner by each individual applicant and by each proposed sublicensee a fee of $300 for an initial license term of four years. Thereafter, the commissioner may adjust the amount of the license fee to produce revenues sufficient to support the regulatory obligations imposed on the department by this act. The term of all public adjuster licenses shall be for a period of two years. The commissioner shall refund to the applicant or proposed sublicensee the fee paid if the application is denied. 2. Proof that the applicant has taken and passed the State licensing examination within the 12 months preceding the date of application. 5. A bond conforming to the requirements of N.J.A.C. 11:1-37.9, unless the applicant is applying as a sublicensee. 7. A check or money order made payable to State of New Jersey--General Treasury, or, if applicable, electronic payment for online applications, for the license fee and application processing fee in accordance with the fees set forth at N.J.A.C. 11:1-37.18. 6. A check or money order made payable to Treasurer of New Jersey for all licensing, application and processing fees. (d) All licenses shall at all times be the property of the State of New Jersey and upon any suspension, revocation, nonrenewal, expiration or other termination shall no longer be in force and effect. 1. Upon any suspension, revocation or other termination of a license, the licensee or any other person having custody of the license shall immediately deliver it to the Commissioner by personal delivery or by registered or certified mail. 2. Where a license is lost, stolen or destroyed, the Commissioner may accept in lieu of the return of the license, an affidavit of the licensee or other person responsible for the license, setting forth the facts which prevent the return of the license. 3. Failure to pay any requested fee for any reason including, but not limited to, a check being dishonored, shall render a license null and void. 4. A license which was voluntarily cancelled by a licensee may be reinstated for the balance of the license term upon written request of the licensee and payment of the processing fee. (e) Where a current licensee seeks to renew a license, the licensee shall, at least 15 days before the license expiration date, submit a properly completed renewal application including, when applicable, electronic online submissions together with payment of the license fee in accordance with N.J.A.C. 11:1-37.18. The renewal application shall be signed, dated and certified to be correct by the licensee or a licensed officer, partner or member of a licensed organization. The licensee shall certify that he, she or it continues to be qualified in accordance with the Act and this subchapter. 1. For licenses initially issued on or after July 4, 2011 and for all biennial licenses renewed on or after July 4, 2011, no individual public adjuster license shall be renewed unless the renewal applicant demonstrates that he or she has completed 15 credit hours of approved continuing education courses related to public adjusting during the previous license term. The courses must be obtained through an education provider approved by the Department to offer public adjuster continuing education in accordance with N.J.A.C. 11:17-3.
i. Pursuant to N.J.S.A. 17:22B-10c, the Commissioner may waive the requirements for continuing education on an individual basis for reasons of hardship such as illness or disability, retirement of the license, or other good cause. 2. For applications requesting renewal of a license of an individual who is nonresident, the continuing education requirements for New Jersey may be waived if the applicant provides proof that he or she is currently licensed in his or her home state and the continuing education provisions for public adjusters in that state are substantially similar to the laws of this State. 3. Public adjusters may only receive credit for the successful completion of any single approved continuing education course one time during the licensing term. 4. For a contact course, a credit hour shall provide no less than 50 minutes of instruction. Breaks, announcements and time not spent in instruction shall not be included in calculating credit hours requested. For self-study courses, credit hours include time for reading and study, which the Department has approved as reasonable to successfully pass the final examination. Time taking the examination is not counted towards approved credit hours. Each continuing education course submitted for approval shall be in whole credit hours and shall contain at least one credit hour of instruction or time spent for reading and study. 5. Self-study courses shall be considered for approval if the program of instruction culminates in a monitored examination of the subject presented. A monitored examination is not required for an interactive, online program that the Department determines has sufficient internal testing to validate the student's full comprehension of the material presented. 6. Failure to submit the renewal application for receipt by the Department by the date of expiration of the license shall be deemed to establish that the license expired on the date shown on the license and that the licensee was not thereafter authorized to engage in any activities for which the license is required. 7. If an applicant's license has lapsed for a period of less than one year, the applicant may apply for late renewal of the license within one year of the date the license expired if evidence of proof is provided of completion of continuing education credits when required by N.J.A.C. 11:1-34.4(f)1. If the Department accepts the late renewal, it shall be effective the date of receipt by the Department of the application for late renewal. (f) Nothing in this section shall be construed to permit a person to engage in the business of public adjuster without a valid license. (a) In the event of a catastrophic loss occurrence, a licensed public adjuster may apply to the Commissioner for the issuance of a temporary sublicense for an individual temporarily hired or retained to act as a public adjuster. 1. The licensed public adjuster shall sponsor the temporary sublicensee who shall be its agent and work under its direct supervision. 2. The sponsoring public adjuster shall bear the full responsibility for the actions of its temporary sublicensee undertaken in the course of acting as a public adjuster. 3. The sponsoring public adjuster shall ensure that the temporary sublicensee complies with the Act and this subchapter. 2. Evidence that the individual is covered by a bond in accordance with N.J.A.C. 11:1-37.9. 3. The conduct of the particular temporary sublicensee. (d) A temporary sublicense shall only be valid for the duration required by the specific catastrophic loss occurrence for which the temporary sublicensee has been issued or as determined by the Commissioner, but in no event for a period longer than that designated in the license.